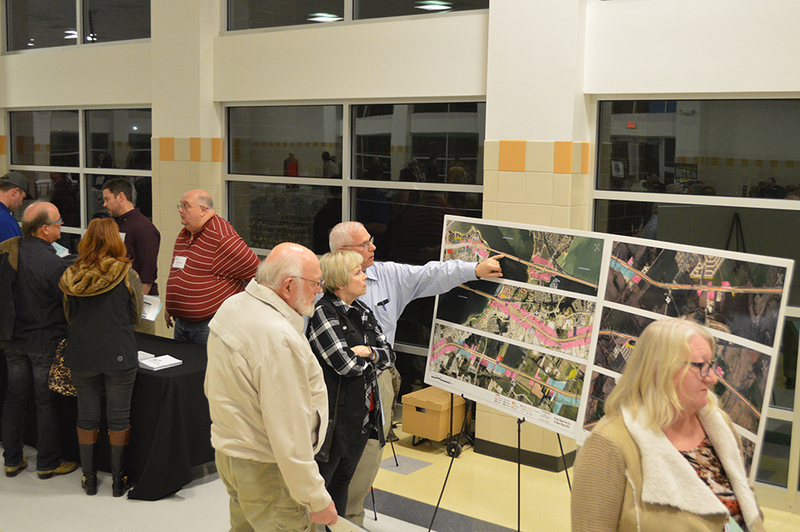 (ROCKWALL, TX – February 1, 2019) The Texas Department of Transportation (TxDOT) welcomed residents to an open house and public hearing on Thursday, Jan. 31, regarding its proposed project bringing improvements to I-30. 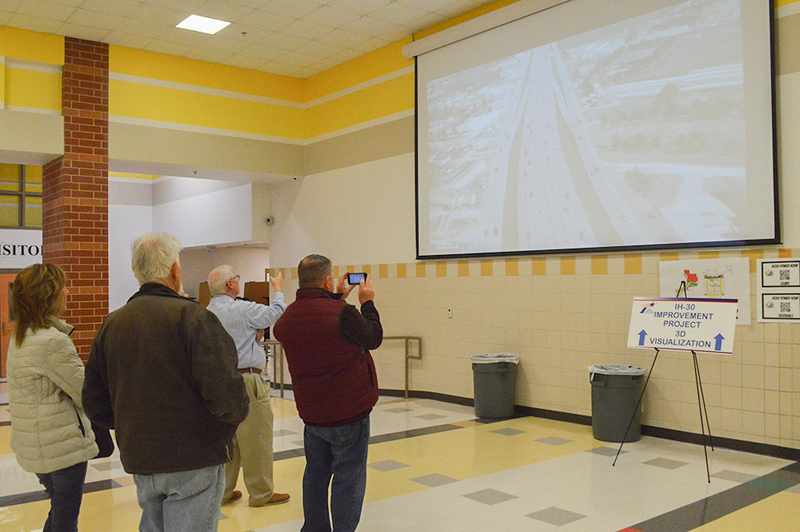 The well-attended event, which took place at the Royse City High School cafeteria, offered an opportunity for residents to view project design schematics and maps, talk with TxDOT representatives about the project, and submit written comments. Reconstruct and/or widen I-30 from Bass Pro Drive in Dallas County to west of FM 2642 in Rockwall County, approximately 17 miles through the cities of Garland, Rowlett, Rockwall, Mobile City, Fate, and Royse City. Add shoulders to the four main lanes of I-30 from Bass Pro Dr. to Horizon Rd. (currently three lanes and one auxiliary lane in each direction). Widen I-30 from six main lanes (three lanes in each direction) to eight main lanes (four lanes in each direction) from Dalrock Rd. 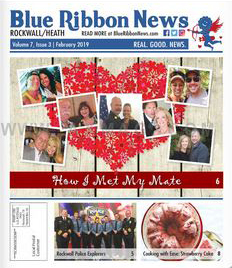 to SH 205, and reconstruct the four discontinuous frontage roads (two lanes in each direction) to six-lane continuous frontage roads (three lanes in each direction), to include bicycle and pedestrian accommodations crossing Lake Ray Hubbard. Widen I-30 from four main lanes (two lanes in each direction) to six main lanes (three lanes in each direction) from SH 205 to west of FM 2642 (Hunt County Line), and reconstruct the existing four-lane frontage roads (two lanes in each direction). 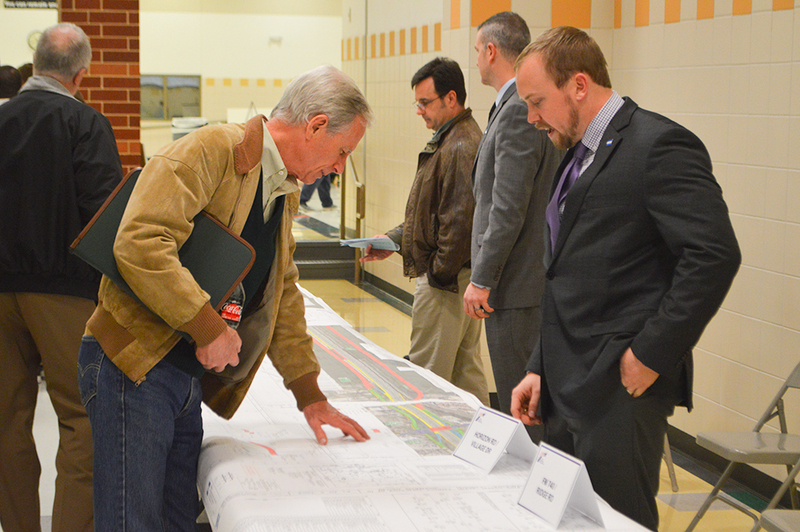 In his presentation during the public hearing, TxDOT Project Manager Mike Garrison said the project will cost an estimated $627 million. He said construction for the project will be delivered in phases and is not expected to start until the fall of 2022. Construction will take approximately three to four years to complete. During the public comments portion of the public hearing, TxDOT heard from a couple residents who own businesses alongside I-30. William Slaughter, owner of American Storage of Rockwall-Fate at 4100 E. I-30, said the current FM 3549 bridge project has already negatively affected his business, and voiced his concern about the proposed I-30 improvements moving forward. Louis Frisbie, a Rowlett resident and owner of Metropolitan Infrastructure at 1413 E. I-30, spoke in favor of the project. To see the approved design schematic for the project, visit keepitmovingdallas.com. 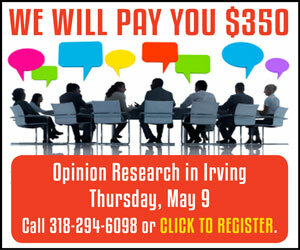 Attn: Mr. Jason Estridge, P.E. Written comments must be received or postmarked on or before Friday, Feb. 15, 2019 to be included in the official documentation of the public hearing.